The most common installation of ceiling netting includes 10’W strips of netting attached to a gridwork of cables on all edges. 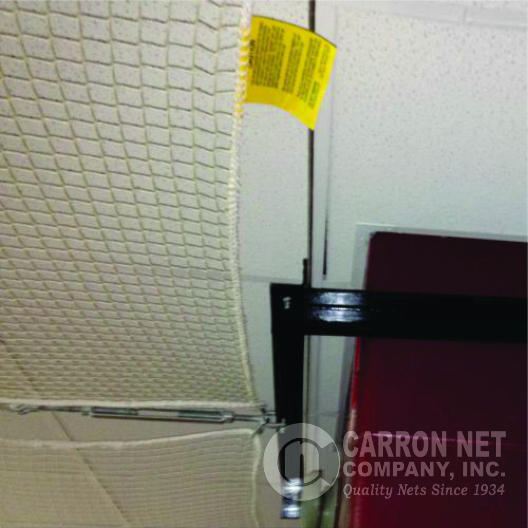 In addition to supporting the netting to protect ceiling structures, this installation style allows for access to the ceiling, lights, and ductwork with the removal of the connecting hardware at each/any cable line. 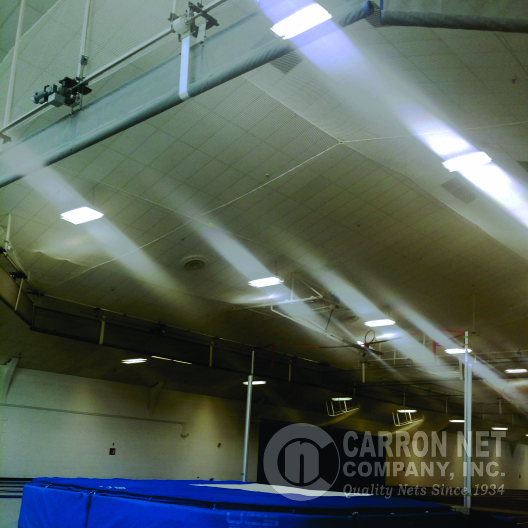 Once the repair/replacement is made, the netting can be reattached. 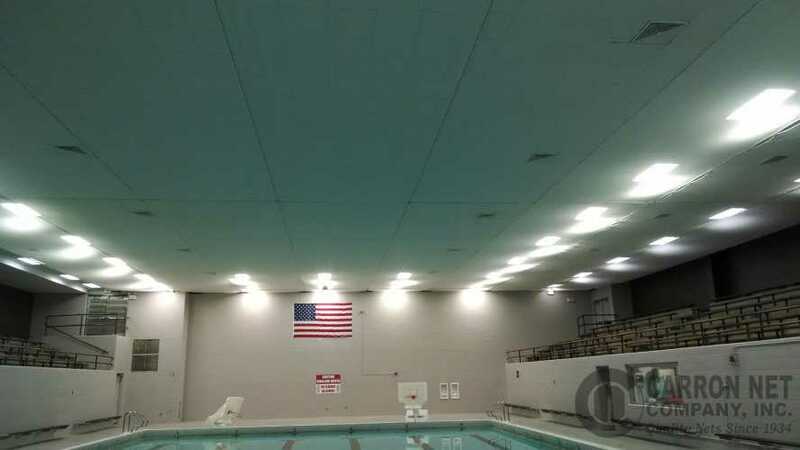 Compared to large sections that need to have access made through them through cutting and repair, this option does not affect the integrity of the netting. Also, with smaller sections, sagging is reduced and adjustment at each cable line can be made to further control any loss of height caused by the nature of the material. White netting is often requested as it reflects light, making it excellent for ceiling applications. 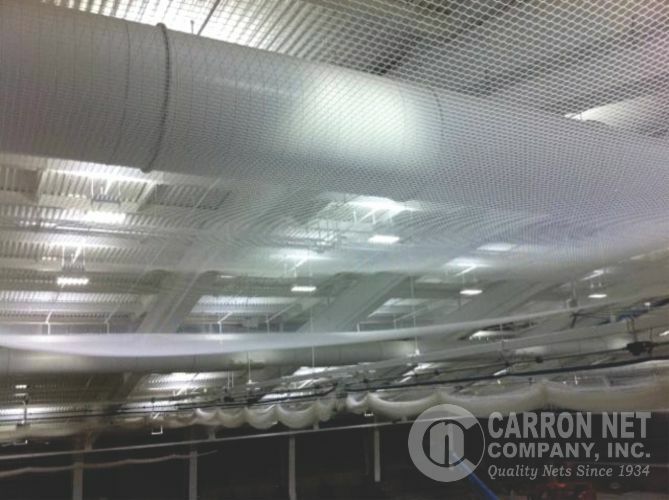 ALL CARRON CEILING NETS ARE MADE TO ORDER. Click on any choice for more information and to request a quote.